Passing through London Heathrow or Gatwick on your way into Europe or beyond then here are several tips which might be useful. If you are coming into Heathrow and you need to stay at a hotel then there are plenty close by. Many of them can be found along the Bath Road which is just a few minutes from the airport. 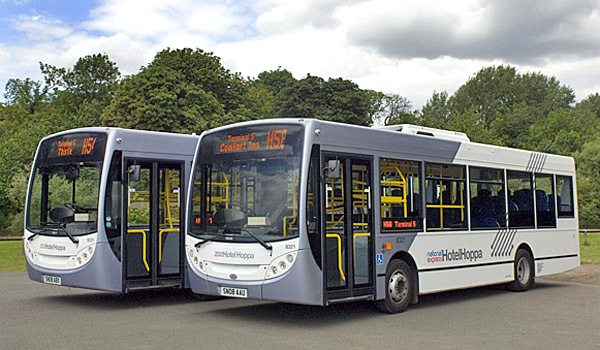 To reach these hotels you can take the Hoppa bus service which currently costs £5.00 single each way or you can try one of the free bus services which run around the airport. The advantage of the Hoppa bus is that it will take you directly to the hotel whist the free bus may drop you off a short distance away and also provides more space for luggage. More information on these services can be found using the London Toolkit website. 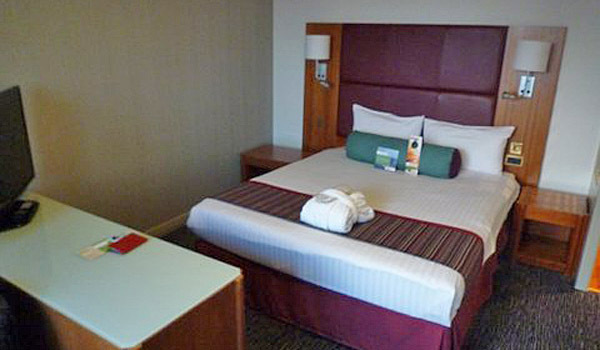 The Park Inn by Radisson is a well appointed hotel, and the rooms are very quiet ,many have an excellent view of the airport, also the staff at the hotel are well informed. There are a variety of rooms available and the Hoppa bus stops directly in front of the hotel and there is also the local free bus service close by. An excellent buffet breakfast is open early in the morning for people who have an early flight. You can find some very good deals if you look on one of the hotel booking sites. 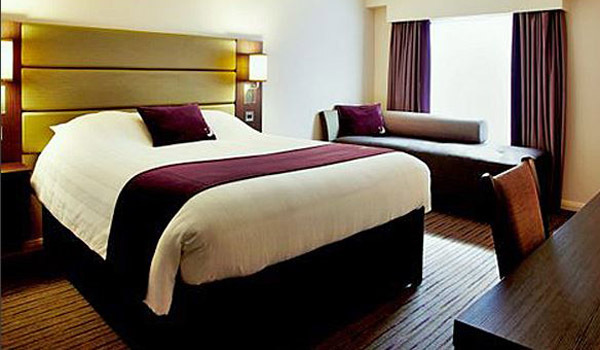 Other hotels include the Radisson Blu Edwardian, the Ibis, DoubleTree, Heathrow Hotel Bath Road , the Sheraton Skyline, and Premier Inn and the excellent Thistle Hotel which is very close to the airport. If you are connecting to Gatwick Airport, south of London, you can either take the fast express coach service which runs between the airports or use the train into London and then go on the Gatwick Express from London Victoria directly to the airport. There are two train services into London from Heathrow as well as the Underground. The Underground stops a great deal and so can take some time. 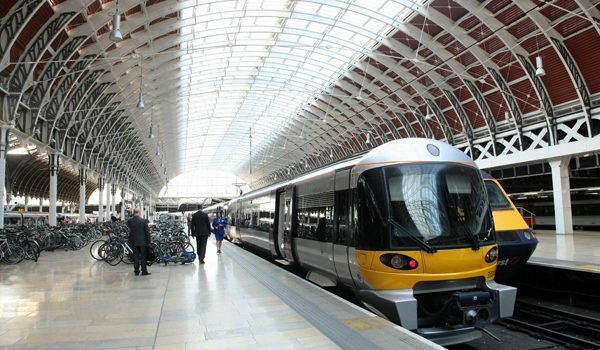 For the fastest service you should take the Heathrow Express. This is very quick and very comfortable. Tickets can be obtained online or from the ticket office near the platform. There is also a cheaper slightly slower stopping service known as the Heathrow Connect which also travels into London Paddington. This goes from the same place but you will have to specifically ask for a Heathrow Connect ticket. If you are going to be in London for the day, a travel card is a possible option or you could get yourself an Oyster card from one of the Tube offices. This will reduce the cost of your fares, especially if you are staying for a few days. Travel cards are a great way of saving if you are coming into Central London on the train and then using the Underground or the buses. There are lots of good hotels at Gatwick Airport but one of the most convenient if you are flying from the North Terminal is the Premier Inn. A very well appointed and reasonably priced hotel, the breakfasts are good and it is right opposite the terminal. Flying from the South Terminal, you can take the satellite shuttle train service, a journey of just a few minutes. If you are not familiar with the Terminals, it is a good idea to check them out the night before so that you will know where to check in and go through to departures. Most airlines now allow you to check in on-line but you will still have to drop off your baggage at the desk. Travelling just with hand baggage can save time and money but you are restricted to what you can take. London also has several smaller airports including London City which is located in the docklands. A much smaller operation than the others, it deals mainly with short haul European flights. It is quieter and easier to get through however you need to remember to leave enough time to get out to the Docklands either using the Docklands Light Railway (DLR), the bus or taxi. Luton Airport is used mainly for charter flights. To get there from London you will have to catch the train to Luton Airport Parkway and then use the connecting bus service. There are also coaches from Central London. Another airport primarily for charter flights, but with some scheduled flights is Stansted Airport. It is quite a distance from London but there is a regular train service from London Liverpool Street station and a reliable coach service.